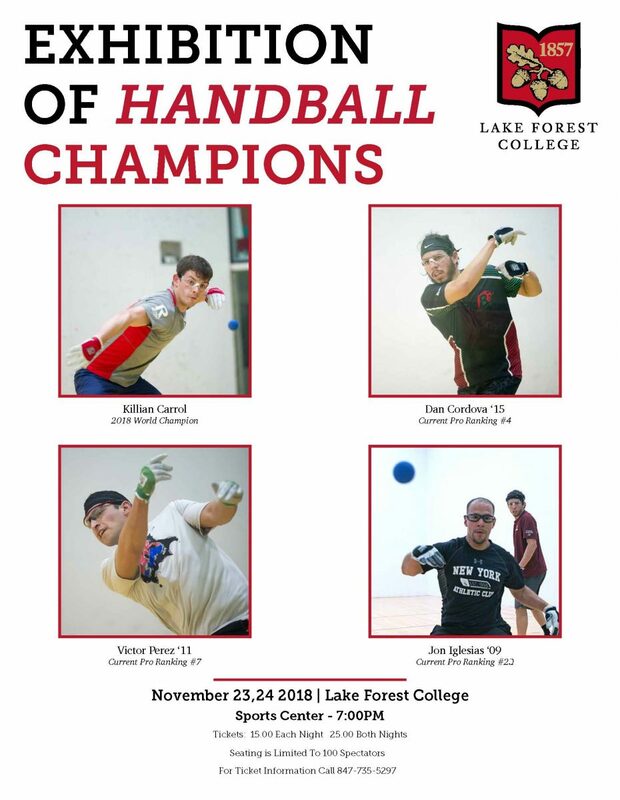 Killian Carroll, Jon Iglesias, Danny Cordova and Vic Perez will be featured in an “Exhibition of Handball Champions,” November 23-24 at the Sports Center at Lake Forest College. The pro players featured are current WPH ranked; lead by #1, Killian Carroll. Three of the four are Lake Forest Alumni. Seating is limited to 100 spectators. Tickets are $15/night or $25 for both nights. Contact Mike Dau for ticket information at 847-735-5297.